Have You Heard Of The 'Animal Flow' Fitness Trend? Well if you haven’t, here’s your quick briefer. Animal Flow is a new exercise program developed by Mike Fitch in partnership with Equinox. 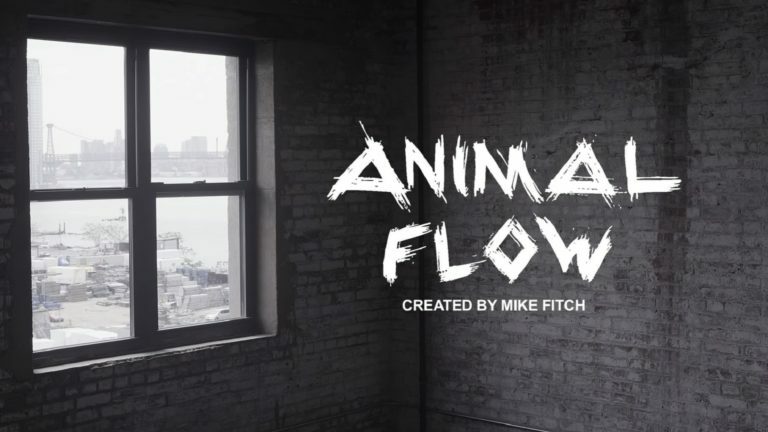 The tagline of the program is that Animal Flow “taps into your primal instincts to get you moving your body in ways you’ve never imagined before.” While there all kinds of ways to get fit nowadays, the reason this particular one caught my interest is its break dance / yoga fusion. Most of the positions, as you’ll see in the video linked below, are related to improving core strength while at the same time looking a tad silly when compared to traditional workouts. However, some of the movements the gentleman performs are inspired by focusing on primate walking patterns and also contracting muscles in a certain pattern. This clip is on the more advanced side of the workout as a lot of the positions require half hand stands or other break dancing maneuvers that can take years to master. So what are the benefits of the routine then? From what I can discern, there is a lot of muscle confusion and core strengthening as well as a high level of cardio. However, as with any fad, it seems destined to disappear within a few months. While Animal Flow is certainly interesting to watch, the high levels of requirement to reach “advanced motion” outweigh anything that could be gained from actually working to reach there. Exercise and workouts that have stood the test of time require a minimum amount of mental effort to reach the point of the advanced versions. Not anyone can do a handstand push up but everyone can attempt a regular push up and within weeks (if not days) try a diamond style one. It’s hard to talk bad about any way to stay fit and, believe me, I’m not actually saying Animal Flow is poor in anyway. The target demographic for people that will try this is just so small that recommending it to anyone who has just started training or heading down the road of losing weight would be foolish on my part. It is great to see yet another new way to get in shape out there! That’s my time for today and remember, think healthy, be healthy!